Success is one of those abstract concepts that is difficult to define. It will mean something different to everyone you ask, and may change dramatically over the course of your life. Yet we all seek this on some level and will go to great lengths to achieve success. In my own life the idea of success has evolved over my lifetime. As a teenager it meant doing well in school, getting along with friends and family, and planning a future where I could reach my full potential. And if the opposite of success is called failure, then I did a good job of avoiding more than a handshake acquaintance there. As a twenty-something I redefined and explored how I would achieve success in the workplace and with my young family. Everything got more dramatic during this time as job opportunities were lost, children got sick, and finances were tight. Yet I never considered myself to be failing as long as my life balanced itself on a plus side after each incident. By the time I reached my thirties I had settled into a complacency that worked for me. I believed that many opportunities had disappeared due to my age and circumstances and that settling for “good enough” would have to be my mantra. But I wasn’t complaining, as more of my friends had achieved much less than myself than those who had more. I would have to say that for forties were the most challenging decade I had experienced to date. My belief system allowed for very little in the way of dreaming about ways to achieve success in my life going forward. Everything I had settled for during my thirties was dragging me down now. This applied to my relationships, career, and goals I had hoped to accomplish by this time in my life. But I took full responsibility for my situation. No one had forced me to do anything I didn’t want to do. Every day I told myself that the life I had on that day was the result of my thoughts and actions in days and years past. This was just how it was going to be. Then something interesting began to happen as I approached my fiftieth birthday. What if I didn’t have to live this life any longer? What if I could do something to change it all and live the life I had dreamed of as a younger person? I set out on a quest to discover what I really wanted and what options were available to me. I woke up one day during April of 2005 and felt like the weight of the world was off my shoulders and that I could do anything I wanted to do with the remainder of my life. 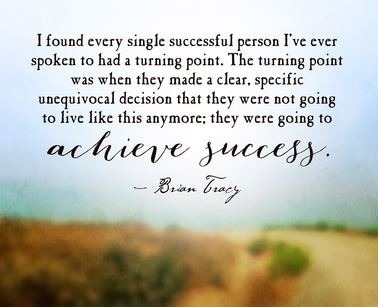 I could finally achieve success because I was willing to pursue my dreams and goals! I had been a teacher for twenty years, and now I was ready to be a student again. And not in the traditional, formal sense, but in the sense of becoming a student of life. I sought out people who could be of help to me. They recommended books I should read, places I should go, and more people I should connect with now that I was thinking differently. Within two months a whole new world had opened up to me and I could see my future much more clearly now. Within a year I had resigned from the school district I was working for, turned my best real estate clients over to others who could better serve them, and embarked on a journey and path I am still exploring each day. Also, I became a writer along the way, something I had long given up on as a way to achieve success in my life. I now know that I could have made these drastic changes to my life at any point along the way. But not believing it was possible kept me imprisoned. I was like the elephant in the circus who does not try to escape, even though the chain has not been connected to a stake for many years. The prison was of my own making, and once I realized I was free the doors began to open rapidly. You can do the same thing, and the way to achieve success is to define it for yourself. This entry was posted in Online Marketing Tips and tagged Achieve, Define, Success, Terms on December 22, 2016 by Connie Ragen Green.